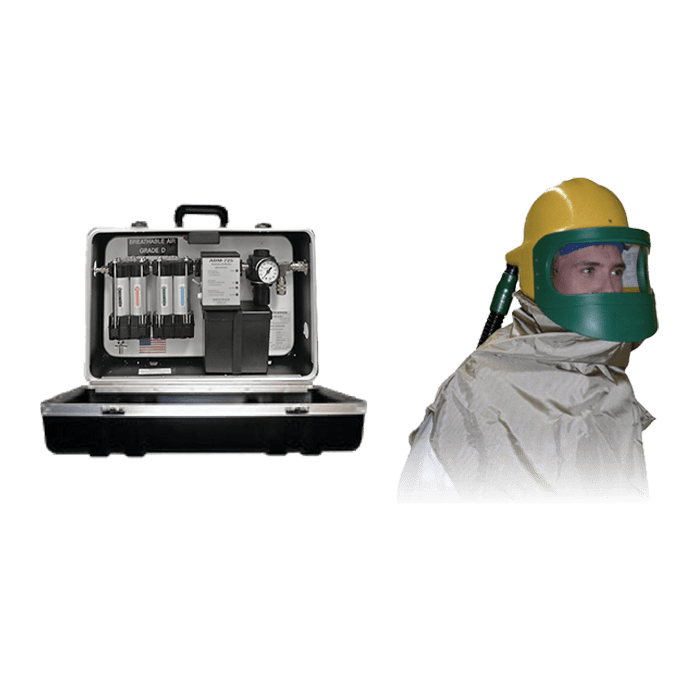 Designed to withstand harsh environments, our air fed protective hoods provide increased comfort to abrasive blasters and painters, allowing them to work long hours with reliable breathable air supply. 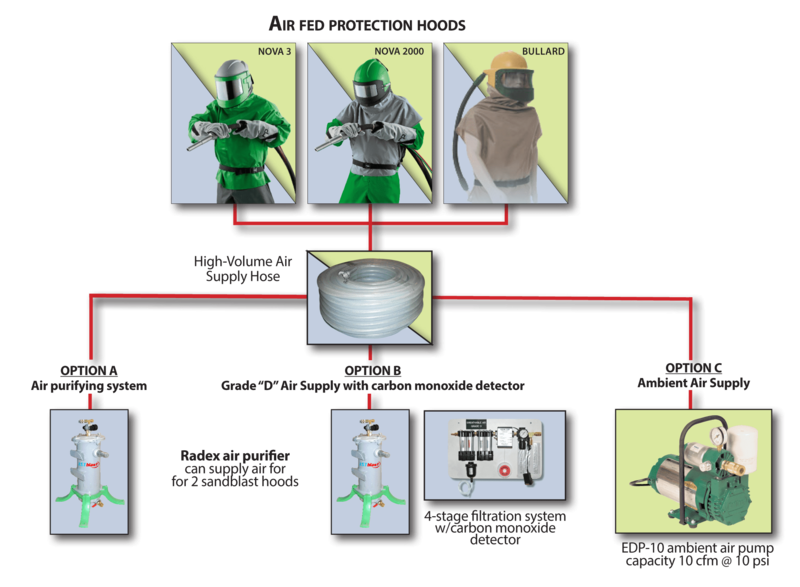 Our systems are NIOSH approved as Type C or CE Continuous Flow Class Respirator (Approval No. TC-19C-293). Our breathable air systems are modular and include key components that protect operators’ respiratory tracts, including air purification filters, supplied air monitoring devices and ambient air pump.